An effects cymbal that's a mini-monster of volume and cut. Designed with Chad Smith, all the volume, trash and cut of the Holy China is now available as a Mini Splash format. 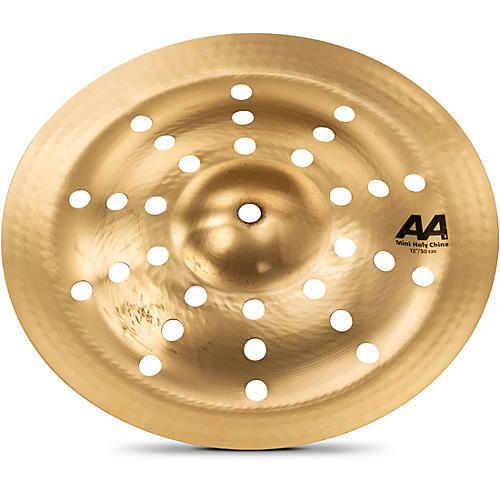 With its exaggerated high profile, single line of holes and raw bell, the AA Mini Holy China cuts better than any other cymbal its size. This special design delivers the type of high-end white noise that is typically associated with larger cymbals. That's because more trash equals less tonal character and more white noise in the cymbal's sound resulting in boosted cut.